As promised during his campaign, U.S. President Donald Trump in May triggered the mechanism for a renegotiation of the North American Free Trade Agreement (NAFTA). Formal negotiations between Mexico, the United States, and Canada began with a first round of talks in August in Washington, D.C. As of right now, the uncertain future of NAFTA could end up spelling doom for Latin American free trade agreements, triggering a reconfiguration of regional politics, and facilitating a “Mexico First-style” takeover during the country’s presidential election next year. President Trump’s main concern with NAFTA is the U.S. trade deficit with Mexico, which is mainly due to light industry and manufactured products. In 2015, cars, vehicle parts, and delivery trucks represented an aggregate total of 64.9 billion USD or 22.2% of Mexican exports to the United States. These trade segments dwarf the less than eight billion USD that Mexico exported towards its fellow members of the Pacific Alliance Free Trade Bloc—Colombia, Peru, and Chile—during 2015. With the NAFTA renegotiation talks off to a rocky start, countries with whom Mexico has a free trade agreement, particularly Colombia, Guatemala, and Costa Rica, are preoccupied that the loss of access to U.S. markets would redirect Mexican exports towards their national markets and kill domestic industries. In principle, economic alliances in Latin America intend to further integrate regional supply chains and strengthen the commercial bargaining power. The end of NAFTA would severely harm Latin American nations that have free trade agreements with Mexico, because these nations would not be able to compete with the well-developed Mexican manufacturing industry. The introduction of low-priced and high quality Mexican products to South American markets would almost certainly provoke a protectionist response from several governments in the region. Since NAFTA came into force in 1994, Mexico has distanced itself economically from the rest of Latin America. In spite of having several trade agreements with southern neighbors, Mexico barely trades with Latin America, given its preferential access to the lucrative markets of North America. This dynamic has also meant that the northernmost country in Latin America has taken a political backseat within the region in many respects. While having relatively close relations with the nations of Central America's Northern Triangle, Mexico has been excluded from many of South America's integration structures, such as the Union of South American Nations (Unasur) and the Common Market of the South (Mercosur), which has allowed countries like Brazil to develop a regional leadership role. Mexico is becoming increasingly aware of the fact that it has to diversify its trade relations and hedge its commercial bets. For example, in 2010, they joined the Community of Latin American and Caribbean States (CELAC), a Latin American cooperation structure for political dialogue and collective influence. If the renegotiation of NAFTA fails and the North American economic zone ceases to exist, Mexico will be forced to look south towards Latin America and confront South America’s regional leaders. Mexico could easily strengthen its multilateral relations and become a leader amongst Central American and Caribbean nations. However,, Mexico’s influence is not as strong in South America and its attempts to assert regional leadership would certainly be met with antagonism from major players, particularly Brazil. On the domestic front, for more than two decades, NAFTA has been the main reason why Mexico has seen itself as a North American nation before a Latin American one and it has facilitated unprecedented levels of cooperation between Mexico and the United States. Most importantly, this preferential trade relationship has kept Mexican politics from falling out of step with Washington, as numerous Latin American governments have in recent years. If President Trump's aggressive anti-Mexico rhetoric and tweets continue, it will further cement a consensus throughout the ideological spectrum that the country must not allow itself to be trampled on. President Trump’s antagonism towards Mexico is empowering Andres Manuel Lopez Obregon, the country’s main left-wing populist candidate for the general election in July 2018. Simultaneously, it has forced the moderate front-runner Margarita Zavala to take a tough stance against the Trump administration. Ending NAFTA or altering its terms to disfavor Mexico would escalate populist anti-U.S. rhetoric in Mexico and force the country to redirect tens of billions of dollars in exports to Latin America, destabilizing their markets. 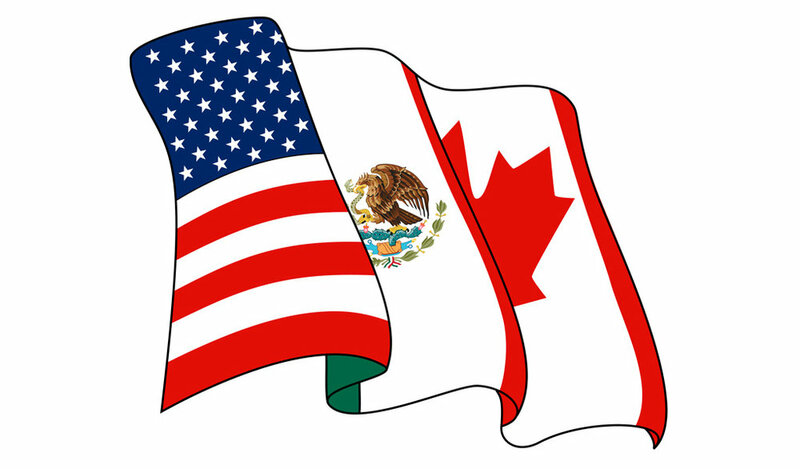 As negotiations continue, the Mexican government, alongside the Canadian, should continue to insist on updating NAFTA without changing its core elements of free and fair trade amongst the three neighboring nations. Glenn Ojeda Vega is a Latin America Fellow with the Young Professionals in Foreign Policy. Based in Colombia, Glenn is an emerging markets consultant in Latin America and earned his BS in Foreign Service from Georgetown University.